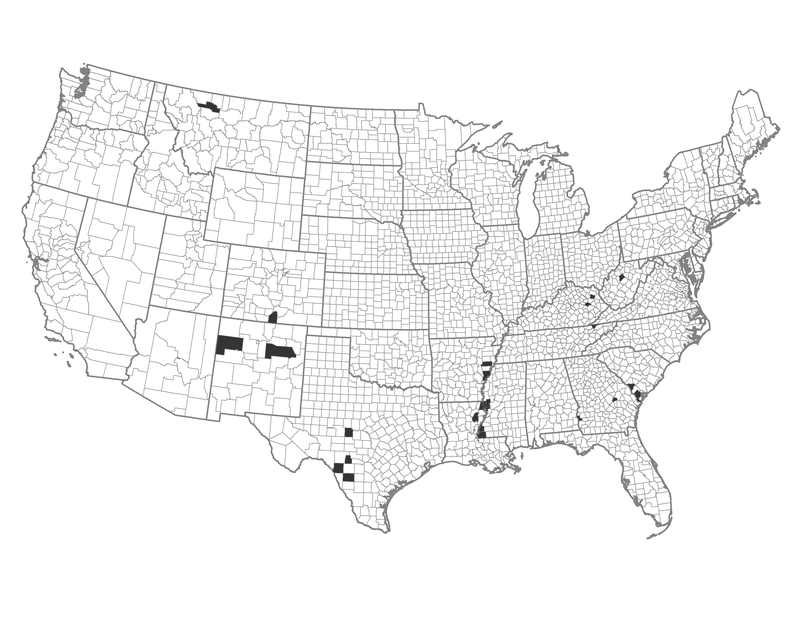 These counties are scattered across the nation, but are characterized by a high amount of demographic stress. Although these lands have not experienced a large amount of fire in the past, they could be looking at preparedness for large, long duration fires that may originate in neighboring counties. Example of a Typical County — Hancock County, Tennessee: This rural county is largely a mix of forest and agricultural patches. It experienced a moderate sized fire in 2001.